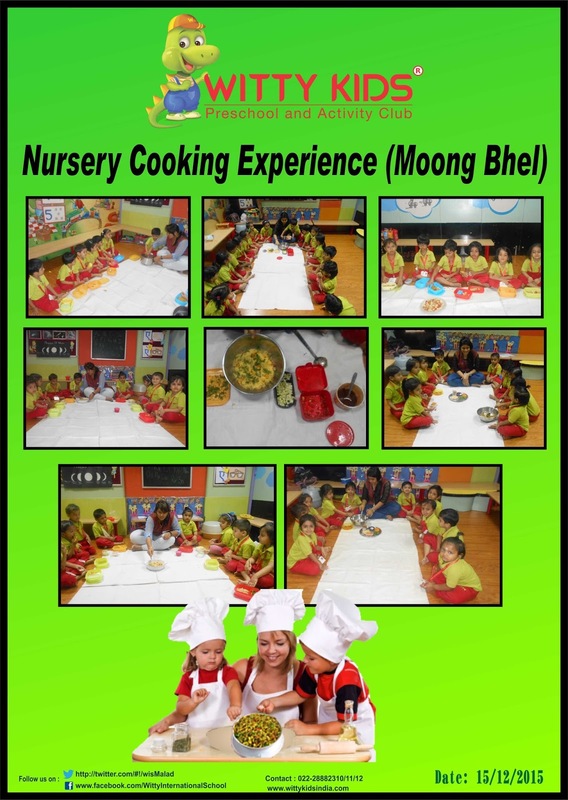 Little Wittians were introduced to the birds using flash cards, so as a part of recap of bird’s children at Witty Kids were involved in a cooking activity of ‘Moong bhel’ on Tuesday, 15 December 2015. 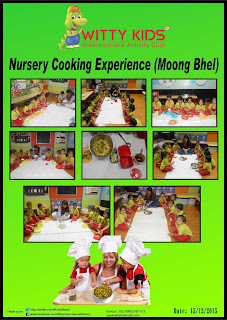 Children thoroughly enjoyed the hands on cooking experience which also created a foundation for healthy eating habits. Along with this activity we emphasized on the eating habits of the birds. All in all it was a fun day for the tiny tots!